I have posted my first blog post on January 1st 2014. I have had a general blog for a few years, talking about my family, needlework and books. Over the Christmas Holidays 2013 I decided to log books I read in a separate blog and chat about it a bit so I came up with the idea of a book blog. Did some online research - wow, and the whole big world of book blogging opened up to me. I loved it straight away and thought: "yes, that's what I want to do!" Being in contact with like-minded people and authors. I would love to be able to write books, so I still feel honored when I receive a book and asked to review it. I would not have picked up many of the new authors otherwise and I'm truly amazed at the quality of their work (most of them anyway!). Also, no-one in my family is an avid / crazy reader like me, so it's only my fellow bloggers who can understand the excitement of a new book and a book shop. I run a weekly feature on my favourite author Stephen King. My favourite genres are dystopian, crime, thriller and horror but I try to keep my reading very much open to almost anything. I also review quite a few non-fiction books, mainly on language learning, writing manuals, craft related, dieting. It would have to be Stephen King's The Stand and 22.11.63. It feels good to receive emails from publisher, asking me if they can send me books to read. It seems pretty obvious- but for me, it is still amazing that people want to hear my opinion. The Internet and my blog give me the chance to chat books to just about anyone, in any place around the world, which is just great. Question of the Week: What are your non-book guilty pleasures? Like TV shows, food, websites, hobbies, etc. With books, I'm usually quick to argue that there is no such thing as guilty pleasures...But with non-book things, some of the things really are pretty trashy. Let's start off with celebrity gossip. I love celebrity gossip. I spend far too much time each day reading my favorite blogs: Gossip Cop, Lainey Gossip, and Celebitchy. I also read People and US magazines every week. Websites: I love reading nail polish blogs and polishing my nails. This is a pretty new habit, so I feel like I have a lot to learn. As for TV, I don't watch a lot of it and most of what I watch would be considered "quality," but I am fascinated by 19 Kids and Counting. I've never watched the Kardashians but I still keep up with them on the celebrity gossip sites. Food: I came up with the idea of this question during Easter time. I had an unhealthy Cabury Mini Egg habit. One of my work friends turned me onto these a few years ago and I quickly became addicted. Each year they've become easier to find, which is both wonderful and terrible. This year, Target had them out by Valentine's Day. I can't count how many bags of that stuff (the Dark Chocolate kind) I went through between Valentine's Day and Easter. Hobbies: This isn't really a hobby - more like an App. I downloaded the Tetris Blitz app about six months ago. I'm obsessed. I could spend hours playing this game. Luckily, I can listen to podcasts or audiobooks while I'm doing it so I can consider it somewhat productive time. Celebrity gossip is probably the best guilty pleasure I can think of! I really want to know what the deal is with Tom Cruise! I have to much an interest in Celebrity gossip aswell. Specially with my favorite celebs from my shows, movies, and music. I don't really play Tetris but I do have this app, Farm Saga Heroes which is a lot like Candy Crush and I am a bit addicted. I have the same sick obsession with my app phone game. It's pretty sad how long I will spend playing on that thing. Celebrity Gossip can be buckets of fun. I find it to be amazing how much it makes me feel better about myself. Oh, I have a celebrity gossip website that's really funny... It's very snarky, and often making fun of the red-carpet shenanigans (and clothes) celebrities wear. I love Cadbury Mini Eggs, but then again, I love anything chocolate. Nice guilty pleasures :) Cadbury mini eggs are also really good. Celebrity gossip is a good one I didn't think of that! I've been a follower since I started blogging a few years. OMG!!! I love that I'm not the only blogger that's a celebrity news junkie AND that loves 19 Kids and Counting. I will admit that I watch that more to gawk in wonderment. I mean GAHHH!!! How do they do it? You know the daughters wrote a book about their upbringing and commitment to God. It's interesting. I don't agree with it, but it's amazing to see another point of view and have it presented non-confrontationally. Oh I love Cadbury eggs too! So addicting! Hahaha! Nice! I love playing Bejeweled myself! Never downloaded any other game app! Totally got addicted to the newly added Poker version! I have badges to earn because I had earned all my previous ones! OMG I used to love playing tetris on my super nintendo. I know a long time ago, lol. I remember the original tetris. I know it's very addictive. Ohh we have Cadbury Creme eggs at Easter. They are sickly sweet but sooo yummy! 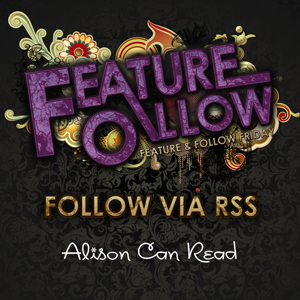 Thanks for stopping by my blog earlier Alison! Oh, I used to be bad about trashy celebrity gossip. Now, I just don't have the time! Either thankfully or unfortunately, I never got the Cadbury egg crave. Great guilty pleasures! I'm an old follower. Hi! I've tried Kingdom Hearts, but never really got into it. I'm planning to buy the new PS3 remix version! Oh, and I LOVE Cadbury Eggs! I absolutely love nail stuff! I have a bunch on Pinterest, so many sites bookmarked about it and I have so much nail polish, it's ridiculous! Yay, nails. There's so much fun stuff to do with them. I used to love playing tetris. Still enjoy it but its not the same anymore. Thanks for stopping by my FF! I too feel privileged when a publisher emails me! It is so fun! My current app obsession is jelly splash. I feel like it's sort of similar to candy crush, but it's even more addicting for me. Mini Eggs - omg I love them, they are so addictive. I can see why you would have a problem with them - think I do too. As for Apps - I play 'Minion Rush' (based on Despicable Me) and I am totally addicted, play it everyday much more than i should! I feel the same way about 19 kids and counting! And it's a little silly how excited I am knowing that Jill is getting married next weekend.